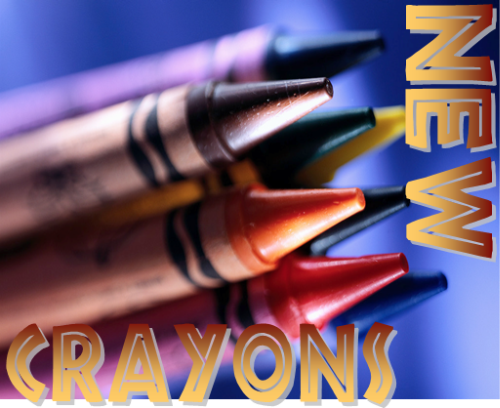 New Crayons is a meme in which anyone can participate. All you have to do is share what multicultural books you got for the week and post the link to your blog post in the comments (or just leave a comment with the titles).Crayons is our metaphor for multicultural literature. Before we get to the books, I want to ask: Is there something in particular you want to see at Color Online? More reviews, interviews, discussion posts? Quizzes? Guest posts? Do let us know. This is why I love picture books. Before reading this summary, I would not have known about the Green Book. They are so beautiful and often talk about lesser-known events. Worst of all, Jace realizes that if he really wants to move forward, he may first have to do what scares him most: He may have to go back. -This cover is so cool. Look beyond the keys. Do you see the faces? Sounds like a riveting read. I bought, received, and read "Mismatched" by Lensey Namioka this week. I also received a copy of "Ash" by Malinda Lo which I won in a giveaway and am excited to have a copy of (loved this one). And I bought a copy of "A Wish After Midnight" by Zetta Elliott to send to a friend in Port Au Prince, Haiti - she requested urban fantasy and I know that she will love Zetta's work. I hate to admit, I have seen the cover of Split many times and had yet to notice the faces. Thanks for pointing that out! @ninefly-I only recently noticed the brothers thing! haha. Yay new crayons. Especially yay for Paris Pan! Such a cute read :) and The Iron King looks good. @Em-I realllllyyy want to read your review on Mismatched. I want to read it because it's intercultural romance but I'm not the biggest fan of the author's writing style.